A celebrated figure in her field, Dr. Marine has amassed nearly 45 years of professional experience in her area of expertise. The chair of the department of mathematical and physical sciences and professor of chemistry and biochemistry at Miami University Regionals, she commenced her career as an assistant chemist for Horizon Research, Inc., in 1974. Since then, she has risen through the ranks of success, holding several prominent roles as both a scientist and educator. A respected speaker and author, Dr. Marine has stayed abreast of recent developments within her industry through numerous organizations, including as the current faculty advisor of Phi Theta Kappa Honor Society and former vice chairman of ASTM International. In addition, she was previously the national president and vice president of Iota Sigma Pi, and she held a number of roles with the American Chemical Society, including as chair of the national committee on technician affairs, auditor of the Cincinnati section, chairman of the education committee, subcommittee chairman, member of the national committee on community activities, and the local coordinator of National Chemistry Week, among others. 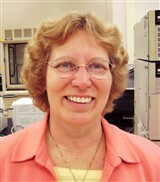 In recognition of her exceptional contributions to science and education, Dr. Marine has accrued several accolades throughout her career, including an Excellence in Teaching Award from Miami University Regionals, the Centennial Award for Excellence in Undergraduate Teaching, and the Salute to Excellence Award and Phoenix Award from the American Chemical Society. Most recently, she was honored for Outstanding Service to the Society from the Council of the American Chemical Society in 2015 and Faculty Excellence in Teaching from the Southwestern Ohio Council for Higher Education in 2013. Dr. Marine holds a Bachelor of Science in chemistry from John Carroll University and a Master of Science in analytical chemistry and Doctor of Philosophy in physical chemistry from Case Western Reserve University.